PLEASE SCROLL DOWN FOR SPANISH. most exclusive area of Miami Beach.RIGHT ON THE BEACH. gorgeous sunsets from the huge wraparound balcony. room. There is cable TV, and a VCR/DVD in every room. Cook a goumet meal on the kitchen island while chatting with guests in the living and dining areas. 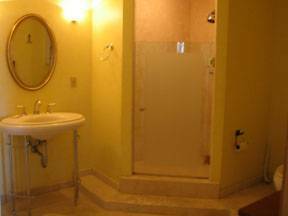 There are dishes and cutlery for 10, and dining room seats 10.
game room/pool table, a convenience store, a dry cleaning store, and beauty salon (hair, nails, facials and massage) on the premises. FAX machine in the apartment. 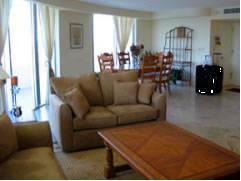 Miami International Airport, and minutes from all the major attractions, marinas, stadiums, malls and hospitals. tiene telefono para llamadas locales, servicio de INTERNET a cable y también inalámbrico, y maquina de fax. There is an occupancy limit of 6 adults. Children under 5 can sometimes be added to this occupancy limit prior consultation with the owner. Lincoln Road and South Beach, Science Museum, Art Deco District, Seaquarium and Dolphin Experience, Monkey Jungle, Parrot Jungle Island, Children Museum, Everglades Wildlife Park. Bal Harbor and Aventure shopping malls. Mt. Sinai and Jackson Memorial Hospitals are only 10 minutes away. Olympic size heated pool by the ocean, steps from the beach. 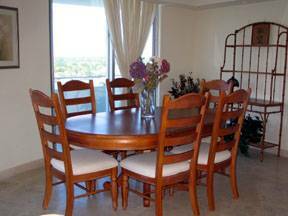 Light filled dining room overlooks Biscayne Bay. Seats up to ten. Living room has a 32 inch TV set, and DVD player. Living room and dining room. All with views of Biscayne Bay. Kitchen island open to living and dining areas. 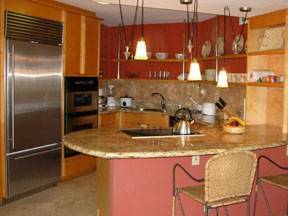 Cook a gourmet meal here while chatting/friends and family! 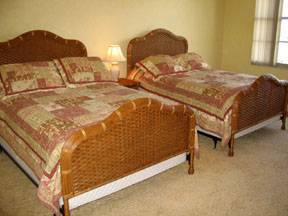 Master bedroom has two full size beds, TV with VCR/DVD player. Has walk in closet. Spacious master bathroom. Shower with 5 adjustable jets! We had wonderful vacation and on the whole the apartment was perfect and corresponded completely to our imaginations. Very comfortable were the two bathrooms, the generous rooms, and the big balcony with the fantastic view and watching the sunsets. We heard nothing of the neighbors, it was so pleasant quiet. And we had the sun in the evening. Also great was the parking garage, the state of the beach - it was always clean; the whole position of the condominium was perfect for us. 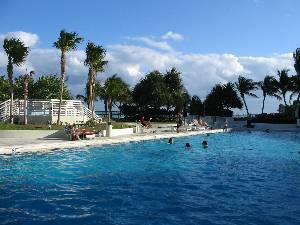 If we will go again to Miami Beach we would like to stay only in your apartment, we wouldn’t look for another, because it was really as we wanted and hoped before. Today it was hot (90F) in the black forest, but we miss the ocean! We had a wonderful time! Your condo is absolutely beautiful! We loved the beach and pool. My younger daughter and I walked every morning on the boardwalk along the beach. We even walked from the condo to South Beach (10th) one morning and went shopping. The view is also beautiful. 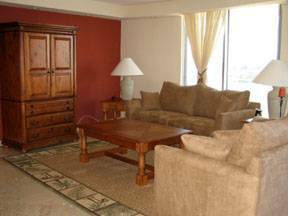 You have the condo equipped with everything you could possibly need for a great vacation! Firstly, Thank You for the prompt return of our deposit, it was actually at home before we were. Secondly, i have to say your apartment is very beautiful. We loved the art work. The views from the balcony were unbeatable. The master bathroom is one of the nicest i have ever been in, with the walk about closet...I have put it on my "Wish list" for my own home. Your manager Marta was very helpful to us, so please send our thanks on to her. Hopefully we will be as lucky in the coming years to spend a part of our winter in Florida and if that happens we will definelty be contacting you again as well as recommending friends and family to you. Veronica and I had a wonderful time staying in this apartment in April with our her brother and sister in law. It really has everything you need to make a stay memorable and extremely confortable. The wonderful view on the bay side literally took our breath away. The sunsets were just gorgeous. We greatly enjoyed having the beach, a heated pool and jacuzzi right at our footsteps and we certainly made use them. In just half a day, we had left the normal work-day stress behind and become two couples with not a care in the world. That's a great feeling. Also we really enjoyed the location. Everything you need is nearby-including South Beach. We are definitely making our next reservations soon. 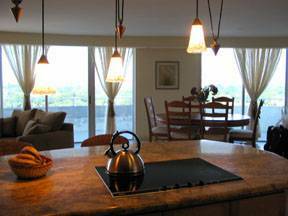 We enjoyed staying at your condo, it is a beautiful property. We hope to rent it again in the future. Thanks for letting us stay there and thank you for the hospitality extended. Had the best vacation of my life! Incredible sunsets!! Wonderful beach, had lots of great margaritas. Rented jet skis nearby, got sunburned, but it was worth it. My wife and I went salsa dancing on Lincoln Rd. Learned a lot of new fancy steps. Will definitely come back next year. There is a 7% tax and a one-time $120 cleaning fee in addition to the rental. TWO groups on same apartment contract can rent on a monthly basis. Please ask owner about this. A security deposit which varies according to the rental period is required to book the apartment. This deposit is returned within 7-10 days of departure. Payment in full is due upon arrival. Deposit: A security deposit is required (depending on length of stay), and will be returned 7-10 days after departure, if no damage incurred. Cancellations and Refunds: A $50 cancellation fee will be charged on all cancellations. Other Fees: None. Assigned parking space inside garage is FREE.